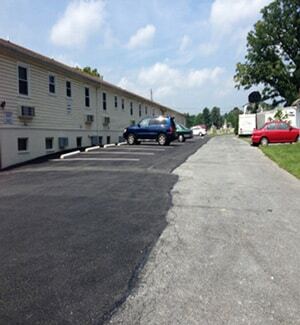 Our customer in Middletown PA needed their commercial parking lot re-paved for their apartment complex. We always love to help our clients with their Commercial Paving needs. We added brand new ID3 asphalt to the parking lot and also painted new lines to create parking spots.